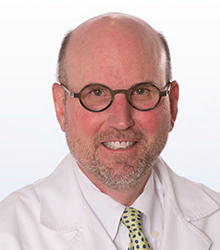 Following postdoctoral research at the Institute of Molecular Evolutionary Genetics, Pennsylvania State University, and residency training in laboratory medicine at the Hospital of the University of Pennsylvania, Dr. Musser joined the pathology department, Baylor College of Medicine in Houston, Texas. He advanced through the academic ranks from 1991 to 1998, when he was promoted to professor. Dr. Musser served as the chief of the Laboratory of Human Bacterial Pathogenesis at the National Institute of Allergy and Infectious Diseases from 1999-2003. He joined Houston Methodist Research Institute in 2005 and served as co-director and executive vice president until 2010. In addition to holding the Fondren Presidential Distinguished Chair, Dr. Musser is also the chair of the Department of Pathology and Genomic Medicine and the director of the Center for Molecular and Translational Human Infectious Diseases Research. His research focuses on the molecular basis of host-pathogen interactions in group A Streptococcus and Mycobacterium tuberculosis. He serves on several editorial boards, has received many national and international honors and awards, and has published more than 300 research articles and book chapters. The goal of Dr. Musser's research is to advance our understanding of pathogen-host interactions, broadly defined. His laboratory uses a highly integrated interdisciplinary research strategy that employs state-of-the-art techniques such as genome sequencing, expression microarray analysis, molecular population genetic analysis, relevant in vivo model systems, and analysis of host factors to gain new information about the molecular basis of infections caused by the human pathogenic bacterium group A Streptococcus (GAS) and Mycobacterium tuberculosis. All of the laboratory's work involves extensive collaboration with local, national, and international investigators with diverse areas of expertise. One project is to identify key vaccine candidates against group A Streptococcus. This work is performed in collaboration with investigators in the private sector. GAS causes >700 million cases of human disease each year globally, yet no licensed vaccine is available, despite decades of study. Dr. Musser's goal is to use a multi-modality experimental strategy involving molecular dissection of the pathogen and host immunologic response, in vivo disease models, and analysis of clinical material to identify one or more protein antigens that protect humans against GAS pharyngitis and invasive disease. A second project is designed to elucidate the molecular genetic events contributing to epidemics of GAS infection. This work is done in collaboration with several groups of investigators. The team uses a comprehensive, population-based sample of serotype M3 strains recovered over 16 years from patients with invasive infections as a model system. The project involves extensive (“deep”) comparative genome resequencing and genetic polymorphisms analysis using GAS strains from patients with well-defined clinical phenotype. The goal of this line of research is to understand precise temporal and geographic patterns of strain spread. In addition, the team seeks to define genetic polymorphisms and virulence regulatory circuits in the pathogen that influence clinical phenotype. Recent work has identified a novel virulence circuit involved in the pathogenesis of necrotizing fasciitis, also known as the “flesh-eating” disease. The research also has vaccine and public health implications. Finally, Dr. Musser has a longstanding interest in the genetic epidemiology of human susceptibility to tuberculosis disease. Using a cohort of extensively defined human tuberculosis patients and controls, his team seeks to define human genetic factors that help to determine why some individuals get tuberculosis disease whereas others who have been exposed to the organism do not. A combination of single nucleotide polymorphism analysis and deep candidate gene resequencing is used, as well as other contemporary human genetic analysis methods. Postpartum Group A Streptococcus Case Series: Reach Out to Infection Prevention!